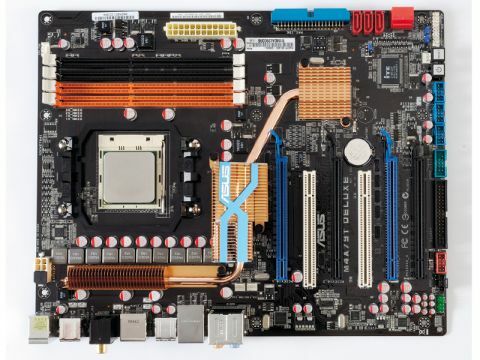 AM3's performance isn't compelling, but it lays solid foundations for a multi-core future. Back in 2003, AMD beat Intel to the important milestone of creating the first 64-bit, x86 PC processor. If that wasn't enough, the Athlon 64 was not only a more elegant CPU thanks to its highly integrated architecture, it was just plain faster than Intel's Pentium 4. AMD had seriously socked it to Intel and a sense of expectation was created that the world's second-fiddle CPU maker has since struggled to live up to. In other words, AMD is at best the mouse that gives elephantine Intel an occasional scare. Most significantly, AMD's research and development resources would barely be enough to keep Intel going for an afternoon. Expecting AMD to regularly serve up Intel's bum on a plate is highly fanciful. It's in that context that both AMD's recent return to form with the 45nm Phenom II chip and now its release of the new AM3 processor socket should be viewed. That the Phenom II is good enough to chalk up a qualified win is quite spectacular, given the awfulness of the original Phenom chip. Similarly, the fact that the key new feature introduced by AM3, namely support for DDR3 memory, has been on offer from Intel for getting on for two years does not mean AMD has been hopelessly outpaced. Quite the contrary. Leaving Intel to do the development donkey work on DDR3 was a smart move. After all, why not let Intel bury countless millions of dollars into the infrastructure required to create and support DDR3 and only then step in and reap the benefits on the cheap? What's more, it was Intel's rusty old front side processor bus that needed the bandwidth boost DDR3 memory delivers. AMD has had a high-bandwidth integrated memory controller for several years and is in less urgent need of a bandwidth upgrade. That's the background to the AM3 socket, but what exactly does it deliver? Firstly, it's always worth remembering that with any AMD platform, the socket often only exposes features present in its CPUs. So while the socket supports DDR3 memory, the initial 1,333MHz frequency limit is a characteristic of supporting AM3 CPUs' on-chip memory controllers, rather than the socket itself or the motherboard. Future memory controllers will likely enable faster memory on today's AM3 motherboards. AM3 also debuts AMD's Thermal Sense and Serial VID interfaces. The first is all about enabling the temperatures of the individual cores to be measured more accurately. The latter enables more accurate voltage control, again for individual cores. Bung them together and the result is better overall power and performance management and therefore a marginally more planet-friendly PC. The final major change involves AM3's pin-out arrangement. The overall number of pins drops from 940 for AM2 and AM2+ to 938. This reduction in pins is arranged to allow AM3 chips to drop into AM2 boards but not the other way around. This gives you the option of buying an AM3 processor today, using it on your existing AM2 motherboard and then upgrading to the full AM3 treatment at some later stage. As for performance, well, the advantages of AM3 are frankly slim to none. In our HD video encoding and professional 3D rendering benchmarks it's not so much as a split second faster. That said, AM3 does give you a few extra frames per second in your favourite frag fest or strategy game. If that seems like a mediocre return for an investment in a whole new platform. It's worth remembering it reflects the fact that AMD's recent CPU has hardly been starved of bandwidth. Even in quad-core trim, DDR2 memory technology has been fine for keeping the Phenom processor fed with data. However, as future AMD processor core counts rise to eight and beyond, there will be a point at which bandwidth will become an issue. With AM3, AMD is now well positioned and prepared for that eventuality. So, AM3 is not a radical departure for AMD. In fact, the only surprising aspect involves the CPUs AMD has chosen to offer at launch. Five AM3 models are initially available: three quad-core processors and a pair of triples. The latter two, known as the Phenom II X3 710 and 720 Black Edition are the first triple-core CPUs to be based on AMD's latest 45nm silicon and sport not only healthy 2.6GHz and 2.8GHz operating frequencies, but also the full 6MB compliment of L3 cache memory. As for the AM3 quads, the Phenom II X4 805 and 810 are cut down chips with just 4MB of L3 cache, cut down by 2MB compared with the first Phenom IIs, and clockspeeds of 2.5GHz and 2.6GHz respectively. So far, so sensible. However, it's the top AM3 chip that's rather puzzling. The Phenom II X4 910 packs the full 6MB of L3 cache. But clocked at 2.6GHz it's significantly slower than the existing 940 Black edition – an AM2 chip, of course. That's a problem because achieving the full AM3 configuration is going to cost you dearly. Along with a new CPU and mobo, a pair of pricey DDR3 DIMMs is required. By comparison, owners of PCs based on AMD's existing AM2 and AM2+ sockets need only snag a Phenom II processor and enjoy superior performance thanks to the higher clocks of AM2+ Phenom IIs. We'd like to recommend that anyone buying an AMD-powered PC invests in an AM3 chip so as to future-proof their investment, but we wouldn't blame anyone for waiting for a more powerful CPU to appear first.